First published in 1947, the second edition of The City of Women was published in 1994 with a new Introduction by anthropologist Sally Cole. That second edition is now available again after being out of print for several years. "(The City of Women) works on many levels: it is a study of candomblé, the Afro-Brazilian religion of Bahia, of the role of women in candomblé, and of race relations in Brazil. . . . The City of Women has much to offer anyone interested in Brazilian history, comparative race and gender relations, the history of anthropology, and the relationships between researcher and subject in anthropology and oral history. . . .
"Because of the importance of women in traditional candomblé, this Afro-Brazilian religion was incompatible with patriarchy. Possession by the gods, the central component of the religious practice, was the domain of women: men supported the candomblé temples financially, but did not run them. . . .
"The City of Women ought to be on the 'must read' list of anyone preparing to do field research, especially in ethnography or oral history, in a culture different from his or her own." --H-Net, Mary Ann Mahony, Associate Professor of History at Central Connecticut State University. 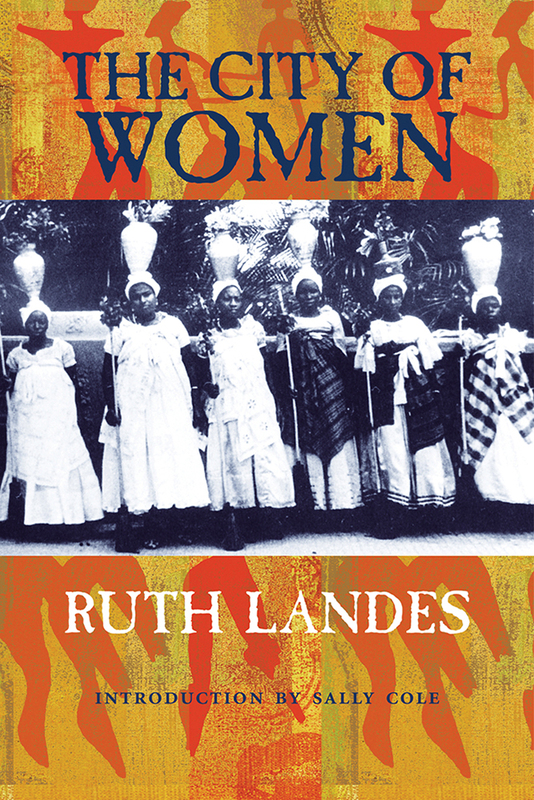 Ruth Landes (1908-1991) received her PhD in anthropology from Columbia University in 1935. Sally Cole is a professor in the sociology and anthropology department of Concordia University, Montreal. She is the author of Ruth Landes: A Life in Anthropology.